How many ounces of meat or protein should I be having? Per meal should be 3-6 ounces per meal. That’s about the size of your fist. That’s one portion size of what you should be having. 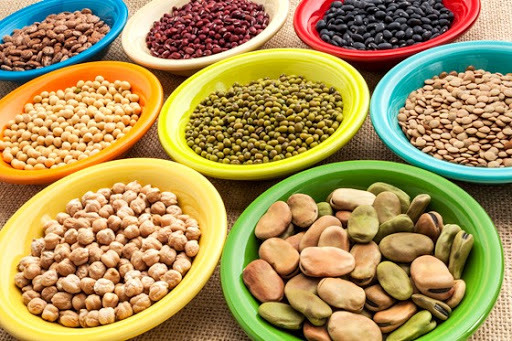 Vegetarian protein replacement can be 1.5 cups of beans. That is a good portion size. Total grams of protein each day?It is your body weight. So it’s between 80-100% of your body. So I weight 185 lbs. I try to get 160-180 grams of protein a day. Many might think that’s quite a bit. My recommendation is to start with 50% of your body weight. 60-80 grams to begin with. Try to increase it a little each day. Protein is absorbed in your body WAY better then sugar. Sugar gets stored in your body. Aka fat = sugar. So get your protein in. Protein also helps you feel full longer!! What is better for you Fruit or Vegetables? Fruit is good for recovery. The sugar is good for post intense workouts. Vegetables have essential vitamins and minerals. Essential means that your body cannot make it. They also are high in fiber. Fiber helps with digestion. It makes you feel full longer and helps the absorption of the nutrients in other foods eaten. If you are eating more fruits then vegetables you are probably taking in too much sugar. Natural sugar is fine, but still can be too much sugar. It all comes down to how you feel. If you feel good, then you’re going to keep going. If you don’t then you’re gunna stop. That’s what it’s all about. If you’re gunna have ice cream and you know it’s going to hurt you in the long run and you continue to do it. Then you saying to yourself oh man, how come I’m not losing weight? How come I’m not being healthy? How come I have chronic pain? Is it what you are putting into your body? I DARE to say YES!! I’m addicted to being happy and feeling positive. I’ve gotten to the point now if anything or anyone is negative it physically hurts me. If I eat ice cream or anything full of sugar my body hurts! When you stop the high sugar for so long you body goes into a mini shock and puts it on your body. That hurts.